At Evendine House, we have a small team of highly skilled chefs that work hard to prepare all of our delicious food on-site. 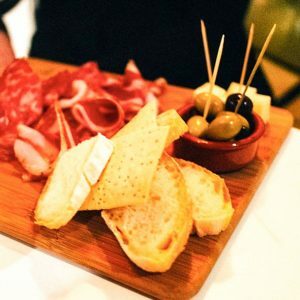 Our talented chefs use fresh ingredients and locally sourced produce to create healthy and tasty home-cooked meals. Our catering team work closely with care staff to ensure that all dietary requirements are being catered for. We also base our meals on the preferences and ideas of our residents and their families. At Evendine House, there is always plenty of choice. As well as providing three nutritious hot meals a day, our wonderful chefs are always happy to cook something else. Additionally, fresh fruit, snacks, and drinks are all available 24 hours a day. Our homely kitchen is at the heart and centre of Evendine. Many residents and staff pass through it daily and stop to have a chat or a snack, which gives the real ‘home from home’ feel. We recognise the importance of mealtimes and the opportunities that they provide for socialising and interaction. 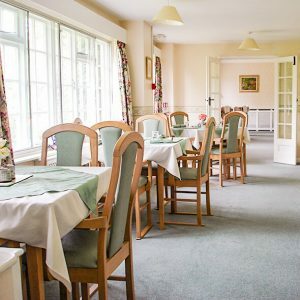 At Evendine House, there are many dining facilities where residents are able to eat, drink and chat with their family, other residents, and members of staff. Our residents’ families and friends are always welcome to join us for breakfast, lunch or dinner. This is why we provide our residents’ families and visitors with afternoon tea and meals – all absolutely free of charge. Snacks and drinks are available all day, everyday. We have a wide variety of fresh and healthy snacks such as fruit and smoothies, or delicious biscuits and home made cakes for those with a sweeter tooth.